Full inset, partial wrap-around, non self-closing cabinet hinge for 3/4in. thick doors. Features decorative ball tips. 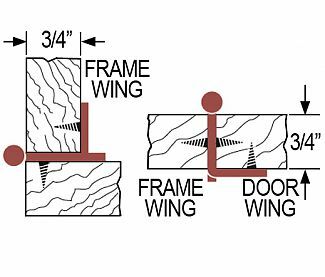 Interleaved hinge wings eliminate the need to mortise the door and frame while providing a near zero gap finished appearance. Steel construction with a polished brass finish. Note: This product is also known as AME-PK3180TBPB, AME-PKR3180TBPB on other websites.